At this time of year when the nights are long, the weather is cold and the waistline has expanded, many of us (myself included) are beginning to think about how we can improve our health and fitness for the upcoming year and there is one, easy and fun way to solve this problem – cycling! Riding a bike regularly can have a hugely positive impact on your physical health as well as your mental well-being, and fitting cycling into your routine - whether that be via riding to work, school or just in your spare time - could be your ticket to a fit and healthy 2019. So, how can you kick-start your cycling in 2019? Here’s our top tips to get started, and take your riding up a notch this year. For some, getting back into riding can be a daunting task as fitness levels may be low and motivation not much higher. Here at Rutland Cycling we are huge fans of electric bikes. Not only can you ride faster, you can rider further and discover those roads and trails previously unattainable. Electric bikes come in many forms, from road to mountain bikes, hybrids to folding bikes, we have a wide selection for every type of rider and road. Start your new year off to a flying start with an e-bike. Cycling is booming in the UK at the moment and with it, professional races. With the likes of The Tour of Yorkshire, CiCLE Classic, The Tour of Cambridge and the UCI Road World Championships all happening in the UK in 2019, there are plenty of opportunities to get up close to the action and see the professionals riding around your local roads. You don't have to just watch these races, there are plenty of sportives hosted alongside big events, perfect for discovering new roads and meeting new people who love riding just as much as you. Cycling is great on your own, but often it’s even better when you’ve got someone to share it with – plus, in winter, knowing someone else is going to slog through a ride with you can give you the extra motivation you need to get out the door when the conditions are less than ideal. 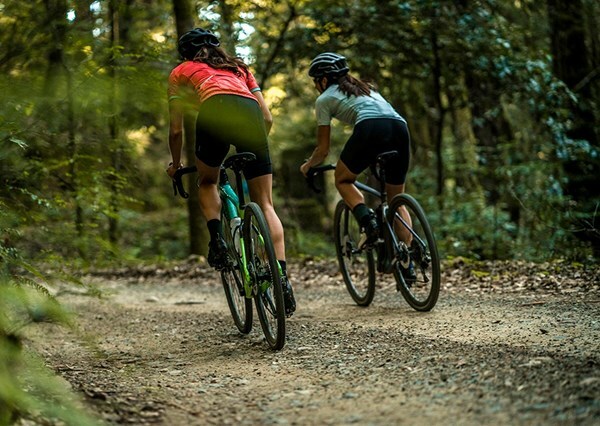 There’s a number of great clubs in the local area, or you can join the regular night rides or women’s-specific Breeze rides from our Rutland Cycling stores. We're all guilty of cycling the same routes each week and it can become rather dull, why not plan a cycling adventure? This could be a one day epic across to the coast or maybe even make a weekend of it and book a hotel far away to cycle to. There are tonnes of routes and paths you can follow across Britain, finding somewhere new to ride will be a sure way to boost your motivation and keep those wheels turning in 2019. Cycling races can seem like a daunting undertaking at first, all those pro looking people in their team kit and super-lightweight aero bikes blasting through the streets or single-track inches from each other’s wheels. However, there are so many events and races out there for all ages, disciplines and abilities and by taking up racing you’re providing yourself with a great way to motivate yourself to keep up your training whilst also introducing you to exciting new possibilities and like-minded individuals. You don’t need to be super fit to race either, there’s loads of shorter distance races out there that will allow you to slowly build up your fitness over the next year. Whether you head off for a leisurely tour through the Pyrenees, warm weather training or even entering a foreign sportive, riding abroad can be a fantastic way to experience new environments away from the unpredictable British weather and there are a variety of companies that provide cycling tours and holidays overseas. Just remember to get insurance, a good bike bag and be wary of the local cuisine – The last thing you want is a dodgy tummy from last nights seafood special during your ride, so save the adventurous eating for your post-ride treat! There are going to be a lot of times you would rather not face the cold weather outside but don't want to miss out on getting those miles in your legs. One fantastic way to get around this issue is to get smart with your training, using a smart turbo trainer. What is this you ask? A smart turbo trainer is one that you can connect to a laptop and use to train with programmes such as Zwift and Trainerroad. The ideal training partner during the winter, these apps allow you to train with other people all over the world and ride on roads you may never get to experience in the real world. Riding to work is brilliant. No traffic, fresh air and the freedom to go whichever way you want make riding to work not only healthy but liberating and very enjoyable. You’ll also see the benefits when you get to the office as riding into work will get your body firing on all cylinders for the start of the working day giving you an advantage over all those bleary-eyed car dwellers. With the correct bike and kit, you can ride to work all year round and there’s subsidies and discounts to be had if your company is signed up to cycle scheme. Get fitter, get leaner, feel happier and save money and the planet all whilst enjoying the great outdoors – it’s a win win situation! Most people will experience discomfort whilst out riding and 2019 is the year to change this. You don't have to suffer through uncomfortable rides with numbness, we offer Retül bike fitting by our expert bike fitters at select store. Our bike fitters will be able to analyse your riding position and tweak things such as saddle height, saddle, and handlebar reach. We can't recommend having a bike fit enough, it can completely change your perspective on riding and make those long winter rides pain-free.